Rick is an attorney in the firm’s litigation division. He prides himself on providing excellent client service, communication, and protecting the rights of injured auto crash victims. Rick and Brandon Hewitt partnered to achieve a $520,000 Ottawa County pain and suffering verdict for a car accident — the largest in West Michigan in 2018. Rick practices in Michigan Auto Law’s West Michigan office, located in downtown Grand Rapids. You were great Thank You. Everyone at Michigan Auto Law was wonderfully helpful! I am so grateful for their assistance, and I honestly couldn't have expected a better outcome. I can't believe I considered going through this process without an attorney. They were so helpful every step of the way, and I would have been very confused and stressed without them. I was hit on my motorcycle by an uninsured motorist and Rick did a tremendous job helping our family through a very difficult time. Not only did he get the maximum award possible, he handled all aspects of the case including hospital bills and insurance claims. Rick went above and beyond what was required and my family and I cannot thank him enough. As an avid rider, Rick also works with many injured motorcyclists. Recently, Rick won a $400,000 settlement for an injured motorcyclist who was hit by a negligent driver, where the insurance company was refusing to take responsibility, disputing both how the crash occurred and the extent of his client’s injuries. 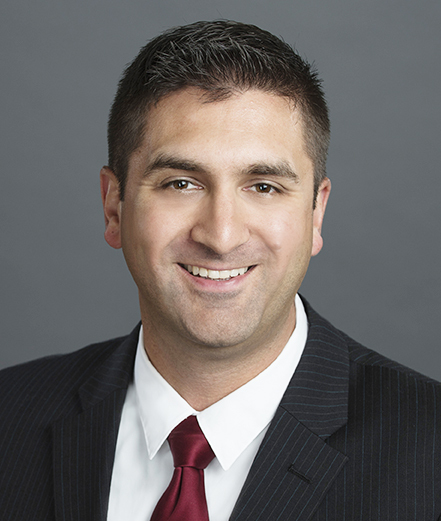 Rick was selected to the Minnesota Super Lawyers Rising Stars list annually since 2014. Super Lawyers is a listing of outstanding attorneys who have attained a high degree of peer recognition and professional achievement. The honor is limited to the top 5 percent of lawyers in each state. Rick has considerable experience as a personal injury attorney. Before joining Michigan Auto Law as a trial and litigation attorney, he practiced in Minneapolis, Minnesota with a premier personal injury firm where he obtained millions in total settlements for the people he was helping. Rick began his legal career as a volunteer attorney at Southern Minnesota Regional Legal Services, in St. Paul, Minnesota, helping low income clients with housing matters. Rick tried multiple eviction and rental repair cases on behalf of his clients, at no cost to them.